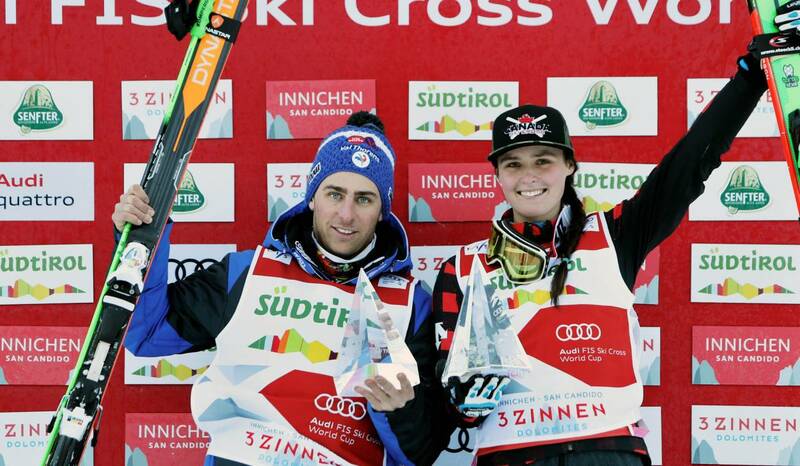 Alpine Canada’s Marielle Thompson claimed the Audi FIS Ski Cross World Cup Cross Alps Tour women’s title, finishing as the overall tour leader following six races over 14 days. The tour wrapped up on Thursday with the second of two races held at the Innichen track in Italy. In the final day of competition, Thompson easily advanced through all the heats, finding herself in the big final once again. In the big final, the Olympic champion battled for first position the majority of the way down track, until an error saw her fall short of the podium, finishing in fourth. Thompson is a Canadian Sport Institute Pacific-supported athlete, first registering with the institute as a 17-year-old in 2009. The Whistler native won a gold medal in women’s ski cross at the 2014 Sochi Winter Olympics. She trains out of CSI Pacific’s Whistler campus, where she receives support from Strength & Conditioning Coach / Whistler Facility Lead Craig Hill, as well as Performance Analysis / Sport Biomechanist Lead Samantha Ebata. The World Cup ski cross circuit is now on a short break until its return on January 15 in Watles, Italy.